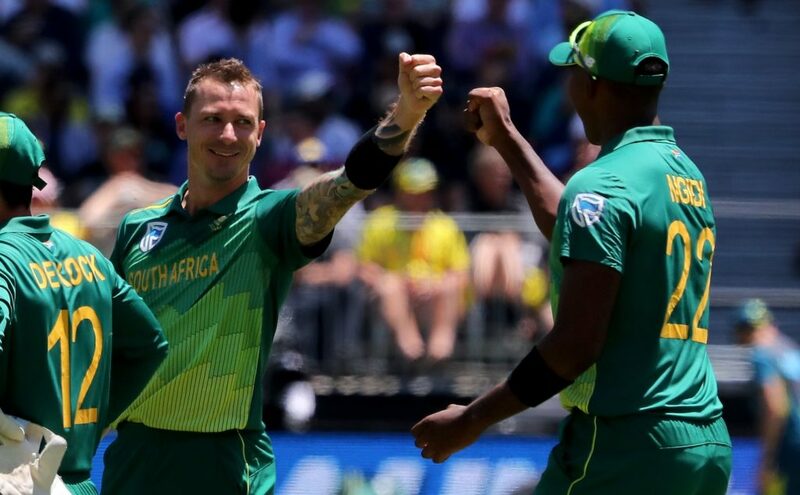 Fast bowler Dale Steyn is relishing the Man of the Match award, after South Africa beat Australia by six wickets in Sunday’s first ODI in Perth. Steyn completed figures of 2-18 in seven overs, as the Proteas limited the hosts to 152 all out. Openers Quinton de Kock and Reeza Hendricks then struck 47 and 44, respectively, as the tourists won with 124 deliveries to spare. Steyn was responsible for the dismissals of the hard-hitting Travis Head and D’Arcy Short, while fellow seamers Andile Phehlukwayo and Lungi Ngidi shared five wickets. ‘It is nice to finish a game without breaking down in Australia. It was a good wicket to bowl on. We’ve got some great quicks and bowled exceptionally well,’ said Steyn. ‘The plan was to hit hard lengths and not give them too much width. I’ll take any wickets I can take in ODI cricket. Steyn now has 187 wickets, one less than countryman Morne Morkel, in two matches less. Morkel has retired from international cricket. The 35-year-old will likely surpass Morkel’s tally in the second ODI, which will be played in Adelaide on Friday. Hobart will host the third and final ODI on Sunday. A one-off T20I in Carrara will follow on 17 November.